Systems for Dentists, leading UK dental practice management software specialists are breaking new ground as the first dental practice management software company to gain accreditation in Scotland for use of their Wireless Signature Pad technology in Scotland as a replacement of the paper GP17pr form. The enterprising company are delighted to offer the solution to their rapidly expanding client base. The accreditation allows Systems for Dentists to release the product for live use to dental practices from today, the 28th of July 2016. That’s fantastic news for Dentists in Scotland who will now officially be able to use the technology to capture patient signatures electronically as acceptable evidence of a patient’s status for payment toward NHS treatment, willingness to have treatment and confirmation that they have received dental treatment under the NHS in Scotland. 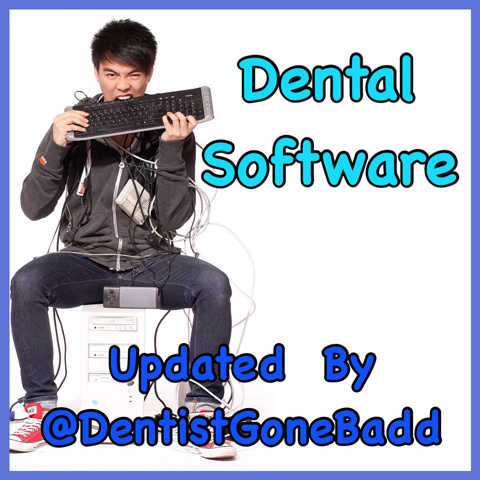 In addition to their Wireless Signature Pad, Systems for Dentists offer a fully featured and agile dental practice management system, which offers clients the benefits of reducing administration times, providing the perfect operational platform to assist accurate claiming of NHS Dental charges and increase dental practice productivity. Effective Practice Management Systems - The Way Forward for Commercial Streamlining in 2016. Ryszard Jurowski is Managing Director at Systems for Dentists, a contributing author and life-long system development guru with a clear and transparent interest in shaping the future of systems management efficiencies and capability for the benefit of the UK dentistry industry. And if progressing the vision for the development of your Practice, future proofing practice management through systems capability, increasing productivity, eradicating wastage, improving workflows and optimising financial and manpower resources in 2016 is on your agenda, then read on, as you’ll be excited by the latest thinking for streamlining your Practice as a means of improving your bottom line in the coming year. Of course, you will have a capable Practice Manager in post. Faithful, trustworthy – and without doubt, a can’t do without right hand help and more than worthy of their weight in gold as they oversee your brilliant Practice team, navigate and keep on an even keel the smooth ebb and flow of Practice operations, deal with the hum drum of patient appointment demands whilst balancing all operational aspects of your business - not to mention staff resourcing and payroll needs. All the while of course, you maintain the strategic helicopter view of your Practice, keep growth and commercial development on track against the underpinning vision and business model you set on course when you founded and invested in your Practice. And of course, all this, whilst still balancing the demands of a busy surgery treatment timetable and nurturing the complex demands of the plethora of patients in your care. As a successful professional in the dentistry field, moving at a dynamic pace on a daily basis, balancing the needs of work and life can often mean that there is little to no time for thinking of ways to further develop and contemplate how to increase your bottom line and drive up even greater efficiencies for your Practice. But that’s really where taking essential time out this New Year to consider the benefits of investing in proven and well developed practice management software based on solid development foundations can make a real and sustainable long term difference to the bottom line and future success of your business. And where software development teams in the industry are taking a real lead and getting things right are where technical expertise and profound industry knowledge backed by years of dental market understanding - often a minimum of at least 2-3 decades, are being used to deliver in a technological lead. And it’s by and large where a common sense approach meets powerful technological solutions to drive up practice management efficiencies are adding real value added and delivering time and money savings on the bottom line to the industry. And the companies who are getting it right are delivering efficiencies at the touch of a button not only via the robust and tested software interfaces they provide to users (and even the most efficient of Practice Managers are inclined to agree) but also through the useful functionality of their systems features. Consider for instance the powerful applications practice management systems on the market are offering to streamline Dental Practices; real time online appointments, SMS reminders, patient imaging, periodontal charting, clinical notes recording, on line backups, postcode lookups, to name but a few…. And that’s not all, you’ll find with careful research that to generate time and money savings and eliminate the paper mountains created by the mandatory paper chase still inherent in many practices, the creation and capture of digital signatures will be a radical and welcome solution accessible in the marketplace from those software developers who are leading the way in creating the paperless office. To summarise, taking time out in 2016, maybe even over part of one sacred forthcoming weekend day to reflect on how you can further streamline your Practice in the new year by identifying and investing in improved practice management systems capability could in fact be time very well spent out of your valuable “me” or family time on the home front. As a word of advice, factor in systems developed by a generation or family business with a longstanding background of Dentists if you can find it, as for sure, they will understand what practitioners truly need and have thought carefully within their product development processes of the systems requirements that will be needed to pivot your Practice forward. Not only that, but they will have developed solutions to improve your patient experience, ensure staff have at their fingertips the automated support they need to eradicate unnecessary manual processes and data recording, and provide automated interventions, in fact they’ll have thought about everything to assist them work at optimum levels and in doing so enrich your staff and patient’s experience. Systems for Dentists, established for nearly thirty years in the market and provide proven practice management systems solutions. Contact Nathan Ross on 0845 643 2828 for further assistance and a warm and professional welcome.